This is the original deck used in the Tunica Grand Casino. Regular poker size. 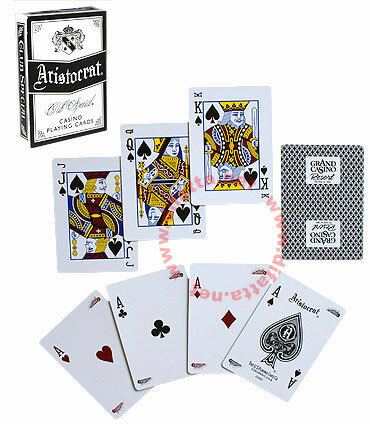 This deck features tiny pips on court cards, for a professional "peek". • Diamond back, only available in black. Αυτό το προϊόν προστέθηκε στον κατάλογό μας την Friday 09 December, 2011.